Your child spends about 3,650 hours sleeping in their bed each year. Conventional fabrics used to make comforters and blankets contain all kinds of chemicals, pesticides, and even highly toxic fire retardants. It is so important to invest in natural, non-toxic bedding for their well being when possible. Wouldn't you agree it is more important than the latest toys, gadgets, or entertainment? That's why the generous folks at Cozy Earth are giving one of you a chance to win this twin size bamboo comforter! The Cozy Earth Bamboo comforter is hand-crafted with the utmost care and attention to detail. 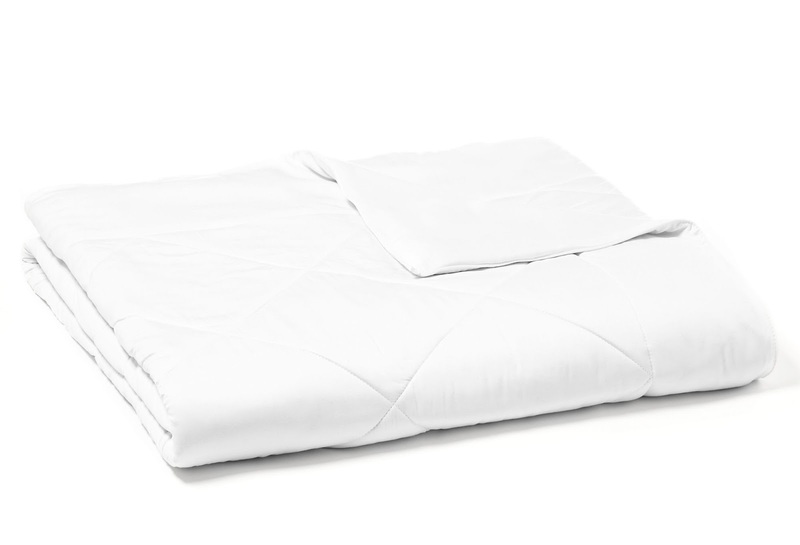 It naturally regulates temperature and is perfect for hot and cold sleepers. The shell and the filling naturally wick away moisture from the body, reducing humidity that causes you to be hot or cold. Made from Eco-friendly bamboo, it is a healthy alternative to down, polyester, or conventionally grown cotton. You can read the full review of the Cozy Earth Bamboo Comforter over at Eco-Babyz and see some photos! Purchase: The Cozy Earth Bamboo Twin Comforter retails for $319.99, you can purchase it on the Cozy Earth website. Every purchase supports a charity! Win One! 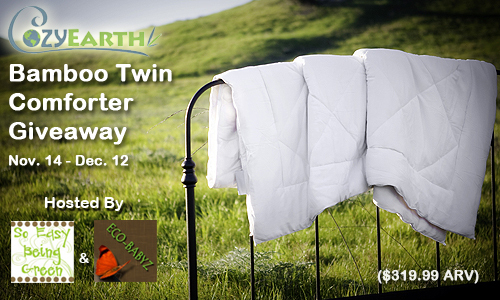 Cozy Earth is blessing one of you with a Twin Bamboo Comforter for you or your child. Special thanks to Eco-Babyz and So Easy Being Green for hosting this giveaway. Huge thanks to all participating bloggers as well! Giveaway ends December 13th at 12:01 am, open worldwide, ages 18+. To enter please use the Rafflecopter form below. Thank you! Disclaimer: I received no compensation for this publication. 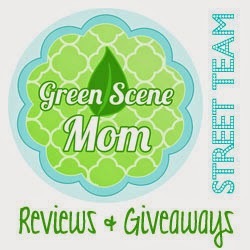 Eco-Babyz, So Easy Being Green, and Cozy Earth Bamboo Twin Comforter Giveaway Event bloggers are not responsible for sponsor prize shipment. I Love the Cozy Earth Silk Comforters.